In my last upcoming releases post, I wasn’t able to include all the books I wanted to because they didn’t all have covers or blurbs or Goodreads pages or even titles yet. I also knew I would end up finding more books I hadn’t known about yet because that’s always how these things go. So I’m back, and I’m just as excited to share with you all some more fantastic-sounding sci-fi/fantasy books! 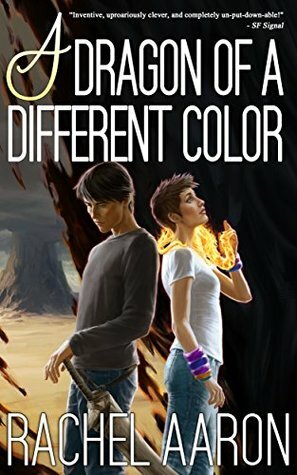 I’ve already read this one, and it has one of the most unique settings I’ve ever read about, great characters, and an interesting urban/high fantasy combo feel! From what I’ve seen of reviews so far, this one sounds like a sweet book with a cute romance and a really lovable main character! I’ve already read this one too, it’s my second series by this author, and she clearly knows her way around urban fantasy. 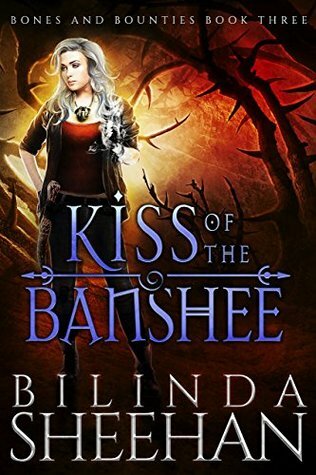 This one is action-packed and has a cool combo of faeries and post-apoc! Eli’s response to his former partners wasn’t polite. Homeless, forbidden government-regulated magic and barely surviving out of dumpsters, Eli struggles to rebuild his life. Fairytale rats thought long extinct with the rest of the fey rescue Eli from murderous vigilantes but at a cost. They force him to save fairy matrons stolen away by Thoth’s monsters, thrusting Eli between his old company and a shadow war waged against humanity. To stop the war, cure Thoth’s victims and rescue the city, Eli need only find some way to make magic out of trash. I saw this one mentioned by Tori @ InToriLex, and it sounds like a really interesting urban fantasy! Also, the series is called “Dumpstermancer.” Come on. How could I not want to read that? I’m loving the juxtaposition of magic and trash. This one sounds like a fun urban fantasy from the reviews I’ve seen so far, and I love the sound of the #ownvoices Native American rep! A M/M romance between a vampire and a shipwrecked sailor? Ummm, yes, please??!!?! I have not read nearly enough vampire books this year, and this one sounds great! A brand new urban fantasy series with a dystopian flavor! I’m a fan of Rachel Morgan’s completed Creepy Hollow series, so I’m excited to try a new series by her! And it sounds like this one will have an interesting relationship dynamic between the characters. What June/July/August 2018 book releases are you looking forward to or have you already loved? I’m glad you loved it! I hope you like the books! I’m glad I could help you find some books! I’ve always got sci-fi/fantasy recs to give ;-) I’m really looking forward to Captain! Captain sounds really good! I don’t think I’ve read any Peter Pan retellings. It does sound good! I’ve read a few, but I really want to read more of the Hook focused ones since I love his character! I love these type of posts. I’m always finding new books I want to read! I already have Witchmark on my list – it sounds great. I’m really curious about Escaping Exile now!! Glad you like them because I love making them! Lol. I’ve heard nothing but good things about Witchmark so far, and I really like the sound of Escaping Exile! I’ve never heard of Clara Coulson but What Fate Portends sounds interesting. It only has a few reviews on GoodReads but even so, the ratings are crazy high! I’m not sure I’ve ever seen a book on GR with a 4.71 rating. Wow. I think urban/ high fantasy match ups have a lot of potential, so I’d be curious about The LAst Sun for that reason. Trail of Lightning seems like it has a LOT of potential to be really good, I’m especially excited about that one! I’m hoping we’re going to see more Native American fantasy. I LOVE the sound of an 1800’s vampire tale! I had never read anything that mashed it up quite like that. I loved how it worked together. Trail of Lightning does sound great! And it would neat to get more Native American mythology in UF! I love the sound of every vampire tale :-P This does sound like a good one. Witchmark and Elemental Thief look super interesting and fun! But I’m most curious about Captain–I’ve read an adult Captain Hook retelling before (Alias Hook by Lisa Jensen) and it was just okay, but it got me excited about the character! They really do! I have a bunch of Captain Hook books on my TBR, including Alias Hook. I think Captain is going to be a good one though! The last two you listed sound really good to me. Great sounding list. They do, don’t they?! Thanks! I’ve seen Trail of Lightning’s review by Raven and I must say that I am really tempted! Sophie recently posted: WWW Wednesday: July 18th. I have read so many wonderful books but …what now? I’ve started keeping a list that I add to any time I find an upcoming book I might be interested in, then I whittle it down when it’s time to actually make the post ;-) The Last Sun is amazing! And Trail of Lightning does sound great! Thanks! They all sound amazing! and When Fate Portends are two in particular that i am liking rhe sounds of! Thanks, glad you found some that sound good! A Captain Hook prequel? Count me in! These all sound fantastic but Captain definitely sounds like it will be a must read for me. Yay, I’m happy to put some books your interested on your radar!! I’ve seen Trail of Lightning everywhere and I know it’s going to be fantastic. Discarded really does sound like a good one! And I’ve heard such great things about Trail of Lightning. Captain looks really interesting! Personally I’m super excited for Ruin of Stars, the sequel to Mask of Shadows. It is released in late August and I want it now! It does! And ooh yay, I hope you get to read Ruin of Stars ASAP and that you love it!